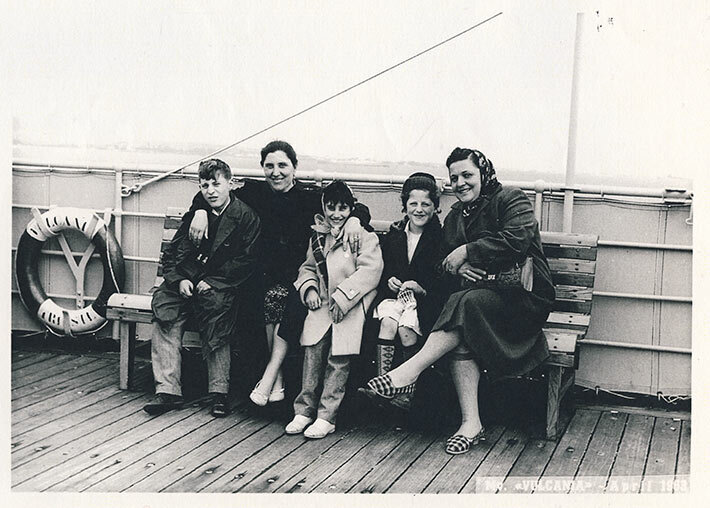 Black and white photograph of the Arrizza family seated on a bench aboard the passenger ship the Vulcania. The group consists of two women and three children. Water and a faint hint of land are visible in the distance.